Second quarter 2013 job vacancy survey results support other evidence – job growth, falling unemployment and strong Gross Domestic Product growth, for example – that the labor market has finally recovered from the Great Recession. At 72,570, the number of Minnesota vacancies was higher than any time since 2001, and the ratio of unemployed to job openings was down to 2.1 unemployed per vacancy. This matches the ratio during second quarter 2007, just before the economy fell into recession and the unemployment rate spiked at the same time that hiring dropped off. 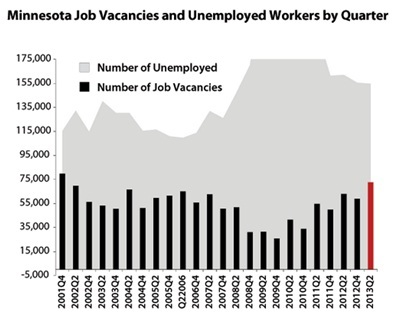 This ratio rose as high as 8.2 unemployed per vacancy during fourth quarter 2009, the peak of the recession as far as job seekers in Minnesota were concerned. With 42,316 vacancies, the Twin Cities has seen a surge in job vacancies over the past year while Greater Minnesota, while seeing a rise of 6.7 percent to 30,243 vacancies, did not capture the same share of the increase. 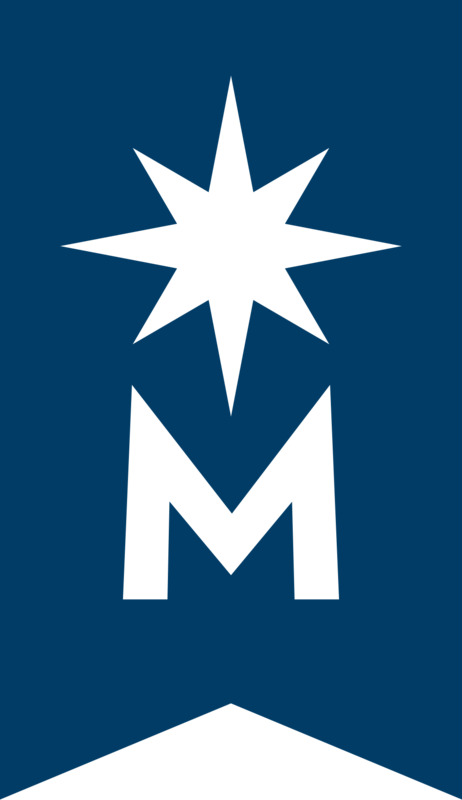 However, looking over a three year period, the number of vacancies has increased 77 percent in the Twin Cities and 72 percent in Greater Minnesota. Statewide, the major industry sectors that have seen the greatest increases in the number of vacancies since second quarter 2010, when the economy finally began to show signs of life again, are healthcare (up 5,663) followed by retail trade (up 4,966), accommodation (up 3,961), and construction (up 2,495). Greater Minnesota follows the same pattern as Minnesota, with one exception: manufacturing (up 1,405) ranks third in having seen the greatest increase in the number of vacancies. The Twin Cities also follows a similar pattern with management (up 1,572) showing the fourth greatest increase across major industry sectors. A full analysis of second quarter 2013 Minnesota Job Vacancy Survey results are available on-line. Do You Value the People in Your Network?